The Covenants of the Prophet Muhammad with the Christians of the World is constructed around covenants that the Prophet concluded with various Christian communities of his time, which Prof. Morrow has discovered in obscure monasteries, collections, and book out of print for centuries, in some cases newly translating them into English, as well as providing cogent arguments for their validity. They uniformly state that Muslims are not to attack peaceful Christian communities, rob them, stop churches from being repaired, tear down churches to build mosques, prevent their Christian wives from going to church and taking spiritual direction from Christian priests and elders, etc. On the contrary, the Prophet commands Muslims to actively protect these communities “until the End of the World”. With the publication of The Covenants of the Prophet Muhammad with the Christians of the World we may in fact be witnessing—unexpectedly, miraculously, at this extremely late date—the emergence of a third foundational source for Islam in addition to Qur’an and hadith: the application of western methods of textual and historical research to the documents composed by the Prophet himself during his lifetime. These documents—letters, covenants, treaties etc.—though known to a few scholars for many centuries, have been largely neglected by both traditional Muslim and modern western scholarship, and are virtually unknown to the mass of believers. One of the most valuable contributions of this work is that it represents a comprehensive treasury of rare, ancient, Islamic sources, many of which have been quite difficult to obtain. Rather than spend their time scouring European and Middle Eastern archives, scholars will now have all the sources they need to conduct further studies on the Covenants and advance our knowledge in this fascinating field. 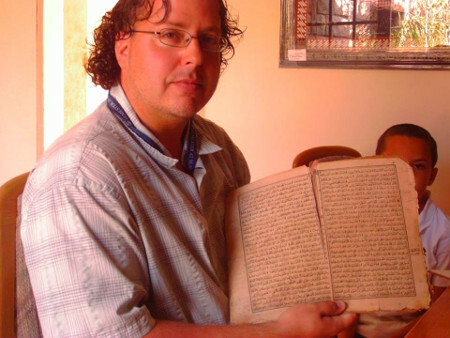 Not only has Dr. Morrow included the original primary sources in Arabic and Persian, he has provided corrected versions of most of these in modern Arabic typescript, along with a wide variety of translations for the purpose of comparative analysis. Consequently, the Covenant of the Prophet Muhammad with the Christians of the World represents a necessary and foundational resource and source of reference for all subsequent studies. And now that we are witness to widespread Islamicist violence against Christians in places like Syria and Egypt—often perpetrated by groups fighting as proxies for the United States and Israel—It is nothing short of providential that The Covenants of the Prophet Muhammad with the Christians of the World should see the light of day at this precise historical moment. Be the first to comment on "The Covenants of the Prophet Muhammad ﷺ with the Christians of the World"